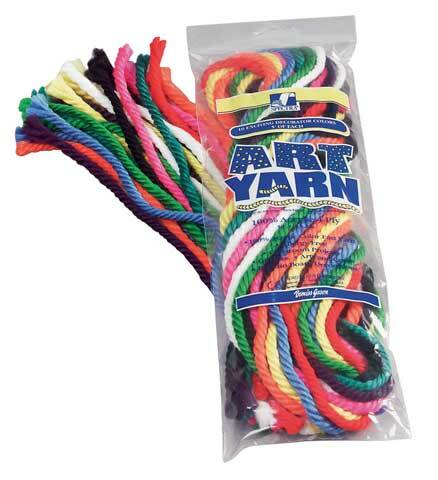 Extra-thick 100% acrylic yarn in pre-cut 5 ft. lengths. Perfect for gift ties, bulletin board trims, craft projects, hair ribbons and more. Ten strands per package.